In 2009 Craig Lancaster self-published his first novel "600 Hours of Edward," which the small press Riverbend later reissued, and then the book was reissued again by AmazonEncore. 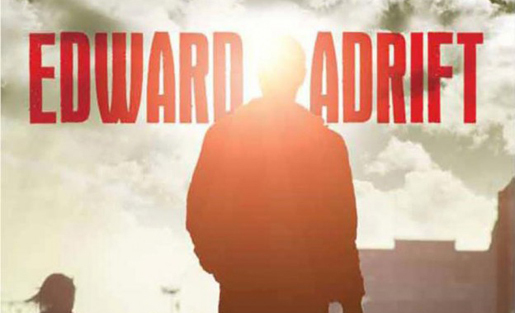 This year Amazon Publishing put out his new novel "Edward Adrift." Craig Lancaster is an award-winning Montana-based fiction writer comfortable with the anything-goes approach of publishing today. In 2009 he self-published his first novel “600 Hours of Edward,” which the small press Riverbend later reissued, and then the book was reissued again by AmazonEncore, who also published Lancaster’s 2011 novel “The Summer Son.” Lancaster published his 2012 story collection “Quantum Physics and the Art of Departure” through his own Missouri Breaks Press, and this year Amazon Publishing put out his new novel “Edward Adrift.” Lancaster’s efforts have paid off — he recently blogged about selling his 100,000th book. Fellow Montana writer David Abrams — whose first novel “Fobbit” was a 2012 New York Times Notable Book of the Year and a finalist for an L.A. Times Book Prize — took a more traditional path to publishing, first signing with an agent who then sold his book to Grove Atlantic. Lancaster and Abrams are both Internet dynamos who have struggled with balancing the time they spend on social media with that spent writing new books. Abrams is the editor of The Quivering Pen, a substantive and entertaining literary blog, and Lancaster blogs and updates his many Facebook and Twitter followers daily with jokes and observations. I interviewed them about the interplay between social media and their writing careers. 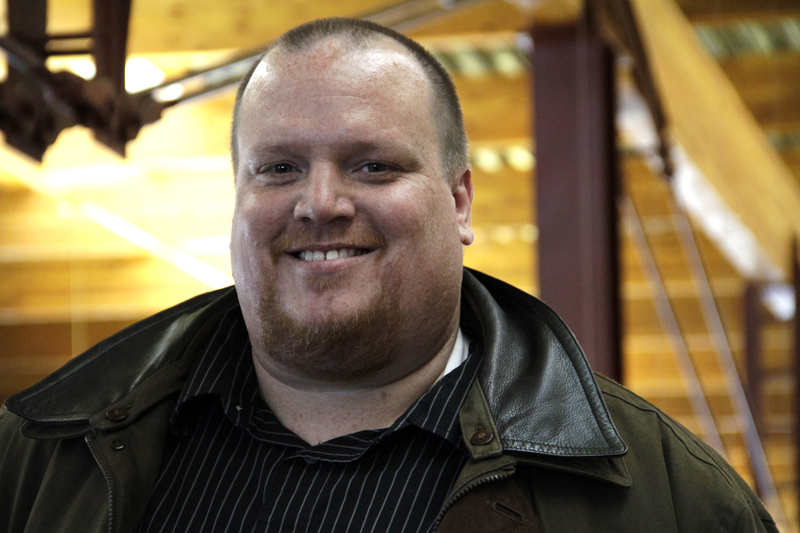 MediaShift: Craig, how did your approach to social media change at each step in your career? Do you think the fact that you have been so active on the Internet contributed to your publishing opportunities? 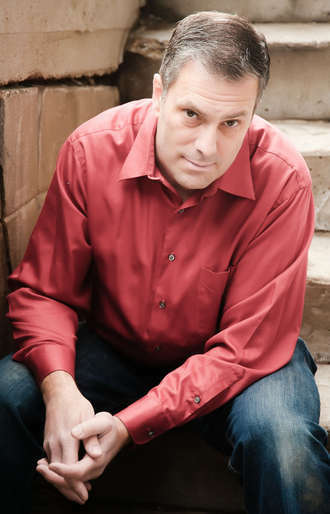 Author and entrepreneur Craig Lancaster. Craig Lancaster: When I was trying to get published originally — and, jeez, 2009 seems like a long time ago, especially when you consider all the tectonic changes in publishing since then — I had read all the advice about having a social-media presence and how that might make a prospective author more attractive to a publisher. But I didn’t really know how to go about doing that. I mean, it’s great if you have an audience like, say, Nathan Bransford, but I didn’t and don’t and probably won’t. I blogged because I wanted to chronicle the journey in a way that entertained me, if no one else. I took to Facebook because it was a good fit for me. At the time, I was reconnecting with a lot of people from high school and college and earlier stops in my career, and the way the site worked just made some intuitive sense to me. I like to get in there and mix it up. I don’t know how much effect it had on my books being published. I’d like to think I got published because I wrote good books. And I certainly haven’t seen social media as a tool to generate more attention for my work. If anything, the online version of me is pretty much what you get in person: a guy who’s funny and weird and a little bit all over the place. In a professional sense, the nice part about social media is the way it allows me to connect with people who’ve read my books. I’m all about removing links from the value chain between writers and readers, and Facebook and Twitter do that. It’s a kick to interact with folks who’ve found something worthwhile in what I’ve written. Hell, it’s even kind of fun with the people who think I’m an unyielding hack. MediaShift: David, do you think your engagement on the Internet helped you land an agent or a book deal? David Abrams: It certainly helped connect me with my agent. As with most stories about good fortune found via the Internet, this one took a serpentine path. A couple of years before I deployed to Operation Iraqi Freedom with the 3rd Infantry Division, I discovered Dan Wickett’s Emerging Writers Network. At the time, the EWN was an email group that received occasional reviews and news about literary fiction. Dan has gone on to great success with Dzanc Books, but at the time, he was just a regular guy with a passion for books who couldn’t help sharing that love with a group of authors, booksellers, literary agents, and bibliophiles like me. Out of those simple email reviews, he went on to build a great blog and then eventually establish one of the best small presses in America. I think of Dan as a pioneer in the kind of literary entrepreneurship you’re talking about. I’d started corresponding with Dan soon after he started EWN; when I went to Iraq in 2005, I sent him some of the entries from the war journal I was writing. Dan asked if he could post one or two of those journal entries on his blog, I said sure, and within about a week, I’d been contacted by Nat Sobel, the legendary literary agent, asking to see more of my work. Nat was also a member of the Emerging Writers Network and liked what he saw of my writing, so he wrote to Dan, who forwarded the email to me. It’s all about connections and finding the right people as you’re walking along that serpentine path. MediaShift: What social media platform is most effective for you, as best as you can gauge, either in terms of book sales or in terms of connections made — Twitter, Facebook, a blog, a website, Goodreads, or something else? 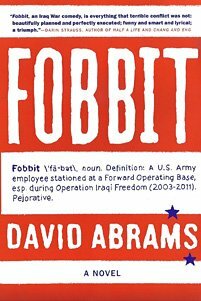 DA: It’s nearly impossible for me to correlate book sales with anything, really — apart from bookstore signings where I see the actual receipt peeking out of the pages when people hand me their copy of “Fobbit” to sign. I can spend hours twisting myself in knots over whether or not I’m going to get a “bump” in sales from this or that tweet or blog appearance, but it’s so hard to feel any ripples without actually seeing the stone that caused it. In the end, social media is all about the connections you make — relationships that form between two individuals, wholly unrelated to whether or not a book will be sold. In terms of the best platform … frankly, I most enjoy spending time on Twitter — the links to book news, the Instagram pics, the pithy one-line jokes; but if I really want to engage with followers, I go to Facebook. I get a much more immediate, stronger reaction from people I “know” on Facebook. CL: Facebook has been a boon as far as connections, as has Twitter to a lesser extent (for me — your mileage may vary). My website is pretty much a stake in the ground, and my blog — with two whopping entries since April — is only slightly less static. I have no data on how Facebook and Twitter have affected my sales, but I would guess it’s minimal. What usually happens is some casual friend on Facebook will say, “Hey, I didn’t know you wrote a book.” That’s always amazing to me, because I have a high sensitivity to posting too much about the work for fear that I’ll become really annoying about it. It takes a lot to penetrate some people’s lives online. I guess there are authors out there making bank with their Facebook posts and tweets, but I’m not one of them. In any case, I wouldn’t even want to attempt to be that craven about it. I know some authors like that, whose only utterances in social media are about their books, and I start to tune those folks out. I’m much more interested in being me, having some fun, getting to know some people, and being available if fans of my work want to talk. MediaShift: Are there any social media websites you’ve tried for book promotion and then decided they weren’t a good use of your time? DA: Like I said, it’s hard to gauge the effectiveness of book promotion at sites like Twitter or Facebook. Sure, you can get people talking about your debut novel … but only for a few seconds of Internet-Time, then they moved on to the next thing capturing their attention. Of course, that doesn’t stop me from doing everything I can to get my book title and cover in front of their virtual faces. I look on social media as a crowded room in which I go around trying to start conversations — like lighting little pieces of paper all around the base of a campfire to get it going. CL: Pretty much all of them, if that’s the purpose. Also a waste of time and money: buying book promotion packages. What helps: having a publisher who can get out the word, and having fans who are ardent about your work. I’ve had the former for a while now, and I’m starting to see the latter in a big way. Now I just need to keep writing good books so I don’t mess it up. No pressure. MediaShift: I usually only notice an increase in my book sales when I’m out meeting people — teaching classes, doing readings and talks. Social media doesn’t seem to boost book sales in my case, but it does affect how connected I feel to the book community, and it has brought me several writing opportunities and chances to participate in those people-meeting activities. What about you — can you tell if social media has contributed to your book sales? CL: As I noted earlier, any direct sales link is probably minimal. I do agree with you about meeting people and being out there. Not everything can be plotted on a P&L statement. If a library asks me to come and talk to a reading group, I’ll do it. Same thing with independent bookstores, especially the ones here in my home state. A high school English class asks me to come and chat? I’m there. I’ve been fortunate in these ways. My first book, “600 Hours of Edward,” in particular has been popular among book clubs, and that’s given me opportunities to visit their gatherings in person and online. I don’t know what the direct correlation is to sales, but hearing directly from people who’ve read my books is such a satisfying experience. It makes all the lonely hours inside my own head worth it. So much of the book business remains charming and low-tech. I love getting out there and meeting people and playing book evangelist (I think I stole David’s line there.) I also love having a publisher who has a treasure trove of data on consumer behavior and can put that to work on behalf of my books. MediaShift: How do you balance participating in social media so that you have an active presence on the Internet without interfering with the writing of your next book, your family time, or your day job? DA: Oh this is the Big Burning Hemorrhoid Question of my life these days — how do I spend the few remaining minutes and hours of my briefly allotted time here on Earth? Should I read Proust, or should I Google “Mylie Cyrus twerk” and see what comes up? I think you know which ill-advised path I usually end up taking. I love the Internet and I hate the Internet in equal measures. I spend a lot of my time battling the tyranny of email and trying to keep myself locked out of Twitter so I can have some quality time with my keyboard. I have to paste notes to myself all around my desk that say, “Write, Don’t Tweet” and “Stay Off-Line” and “Just Write One Good Sentence Today.” It’s a constant struggle to find that balance and I am a weak-willed person. It would be hard for me to go completely cold turkey with my Internet addiction, but I do wish I was a little stronger — especially at 5 a.m. when I’m approaching my computer fresh for the day, all ready to begin work on a new chapter in the novel, and then I start hearing the siren song of Twitter. CL: Well, one of the nice things about my advancing career is that I no longer have a day job. It’s just me and the writing and the book sales and whatever amount of workshop teaching and freelance editing and design I have to do to keep the financial chains moving. I’m pretty rigorous about how my time is used. When my wife comes home from work in the evening, I’m hers. Whatever amount of work I’ve done, or however much I’ve played around on Facebook and Twitter, ends there. Until the next day. MediaShift: Craig, you wrote your blog, A Mind Adrift in the West, for several years, and then you announced that you were giving it up to have more time to write fiction. But I see you are back at it, blogging occasionally on your website. David, your blog The Quivering Pen is one of the best literary conversation sites there is, but you recently wrote that it was becoming too much for you to handle. Rather than end the blog at this time, you’ve decided to open it for contributors. How do both of you figure out what’s worth your time to do, and what will lead to burnout? As experienced bloggers, what is the best approach for you? DA: Burnout comes and goes for me in waves. I started my blog as an outlet to share my love of books, evangelizing on behalf of literary fiction that excites me. And that continues to be the driving force behind The Quivering Pen. But there are some days when I look at all the time I’ve spent writing a single blog post (four hours) and all the time I’ve spent writing a short story (zero hours) and I have to ask myself, “Was it really worth it?” I did come very close to shuttering The Quivering Pen this summer, but in the end I decided I still loved it too much to completely give it up. So, I put out a call for contributors to help me review books and interview authors. I’ve gotten good response so far, but I quickly learned that didn’t really decrease my workload; if anything, it increased it because now I’ve taken on the role of editor as well. One of these days, The Quivering Pen will close down — and I’ll be sad when that happens; but on the other hand, my creative writing will be bloom and thrive. CL: I don’t blog now unless I have something to say. Since April, that’s been two things: 1. My new book is out. 2. I’m quitting my job. But I never really built anything quite so formidable as David’s blog, so I didn’t have a whole lot to give up. Frankly, I have better things to do with my time. Like writing the next book. And bitching about the NCAA on Facebook. MediaShift: Do you think it’s necessary for every author to participate in social media? What’s your advice for introverted writers? CL: I think my argument for participating in social media would be more sociological than professional. We live in a certain age, and much of that age plays out online. I would think that an engaged, curious, inquisitive person, as most authors are, would at least want to be conversant in that realm. I get the heebie-jeebies when I see prospective authors getting bombarded with pitches on how to develop their social-media strategy. I’m not saying it’s a useless skill. I’m saying that any writer’s objective, whether she’s on book No. 1 or book No. 81, ought to be writing a good book. That’s the biggest task at hand. Beyond that, I’d encourage authors to be themselves online, not some trumped-up book trollop. People know genuine when they see it. They know fakery, too. MediaShift: Both of you live in Montana — David in Butte and Craig in Billings. Do you think social media offers a way for writers in sparsely populated parts of the country to become more engaged in the literary community in a way that might once have only been possible for writers in New York and a few other cities? CL: I don’t know how relevant this question is to Montana, which has a rich literary culture and heritage that more than hold their own with more traditional literati gathering places. And the contrarian in me thinks anything that shatters the idea of the cocktail circuit holding sway is probably a good thing. My interest in social media is the way it connects me to all kinds of people, not just book people–the cousin I haven’t seen in 30 years, the girl who broke my heart in high school, the guy I used to play basketball with back in California, the woman in Northern Ireland who just read my book. It’s all cool by me. DA: Absolutely, yes! Twitter is my Algonquin Round Table. Like Craig said, we live in a state which is, per capita, pretty rich in literary legacy. But I also feel like an island here in Butte. There are a few other published authors in town, but no one with whom I get together on a regular basis. However, I can log on to Twitter at any time of day and have vibrant, 140-character conversations with other authors, booksellers, and — most importantly — readers. Even though I’ve never met the majority (80%? 90%) of my social media “friends” in real life, I do enjoy making connections with new people in the hive. Thanks to the book tour after “Fobbit” came out, I was able to meet a lot of those avatars in real life. Jenny Shank‘s first novel The Ringer won the High Plains Book Award in fiction. Her stories, essays, satire, and reviews have appeared recently in The Guardian, Dallas Morning News, and McSweeney’s Internet Tendency.